Using recycled materials is critical in the products we sell and ship. These materials are more difficult to find and are typically more expensive but we believe the Earth is worth it. Learn more about our products below. 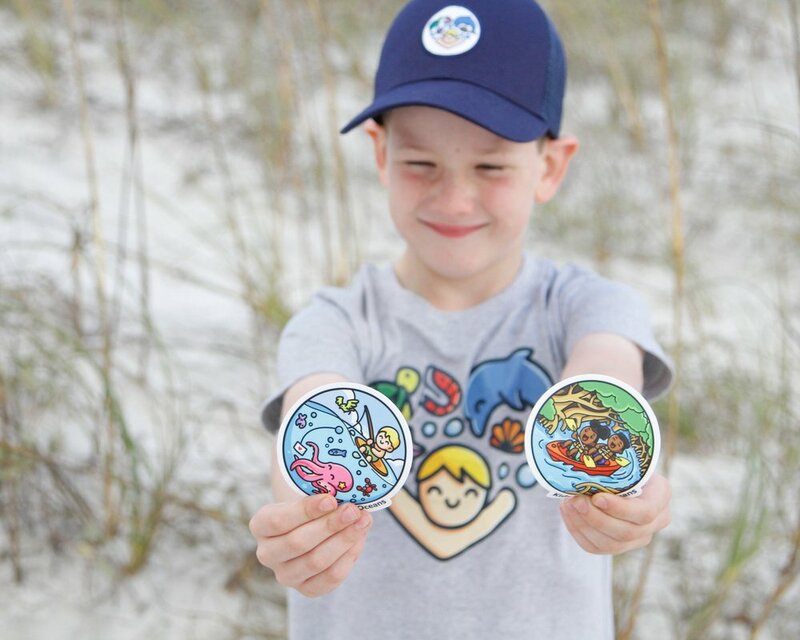 Shirt and hats from Kids Saving Oceans is made completely from recycled ocean plastics and cotton fabric scraps. In addition, they are dyed and printed with environmentally-friendly water-based inks. What’s under the logo is every bit as important as the message contained within it. Our stickers are printed with water-based inks on a thick, premium recycled PVC vinyl. Durable and earth-friendly, our stickers can be used indoors or outdoors. Our manufacturer recycles all scraps and is committed to reducing their environmental footprint when producing our stickers. We ship all of our gear and stickers in recycled boxes, mailers, and packing tape. We use clothing and hat tags sparingly and when we do, everything is made from recycled products and water-based inks.